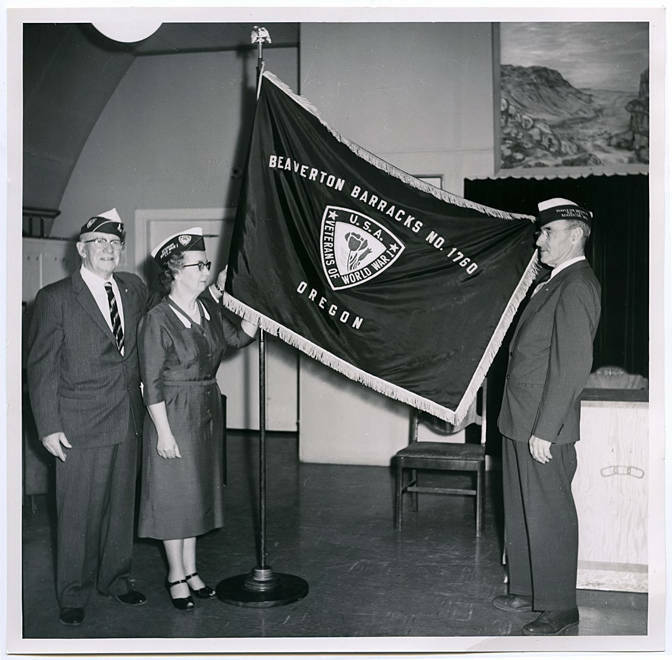 Photograph of two men and a woman holding a flag for the Beaverton Barracks No. 1760 group of the United States Veterans of World War I organization. They stand in the Oddfellows meeting room in Beaverton.